Another fantastic party in July. Again, 120+ dancers on a busy weekend of salsa events in the north plus the world cup final AND the Wimbledon tennis final too. 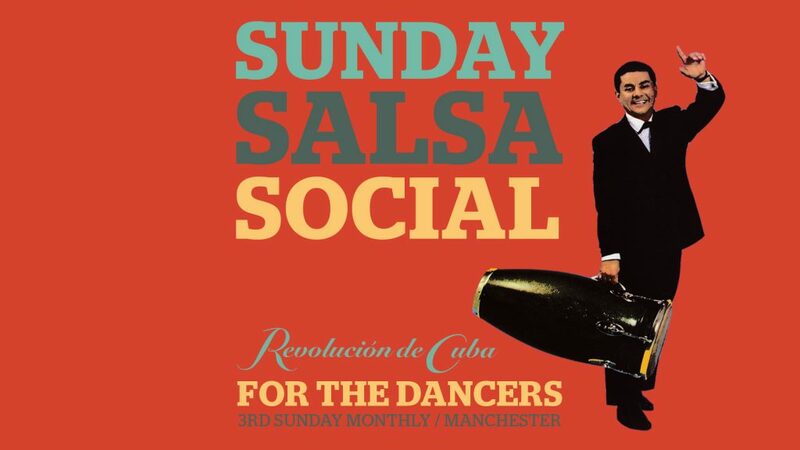 Also, the salsa dance class went down very well so we’ll make that a regular thing now at Sunday Salsa Social. Once again, our dance teacher is international dance teacher Gormack Dione. Here’s the biography to remind you who he is. Gormack Dione is French of Senegalese descent and has been teaching salsa for 19 years and dancing it for even longer. He’s lived and taught salsa classes in Paris, Spain, London and been a guest teacher at many salsa congresses/festivals across Europe. He will be teaching this intermediates level crossbody salsa on1 class on Sunday 19th August from 7.30pm-8.30pm. Get down early as class starts promptly at 7.30pm.